Color has the ability to convey many things, and sometimes using just one color is a challenge and a delight! Today we want to share some inspiring options for Creating Monochromatic Magic! Today's video will give you some great tips for how to successfully create monochromatic designs. Stephanie shares invaluable tips that will have you itching to get into your craft space. Watch the video below or click here (MFTv - Monochromatic Stamping) to watch it on YouTube. Don't forget to subscribe to our YouTube channel so that you don't miss a single tutorial! Let's take a look at few more examples of monochromatic designs that you can emulate! Barbara chose Chili Powder for her pretty card. When creating monochromatic designs, it's important to add lots of texture like the golden fringe and twine bow. Gold is a great accent for warm colors. 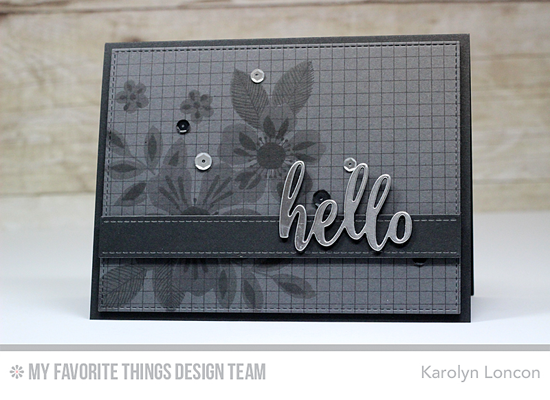 Karolyn's neutral design is oh-so-elegant. She drew inspiration from a tone-on-tone bathing suit. You can check that out HERE. She adds interest to her design with a rigid background juxtaposing with lovely flowers. The sequins, stitched border, and shiny sentiment make this an excellent example of making monochromatic magic! Lisa's sweet design is swimming in a sea of blues. 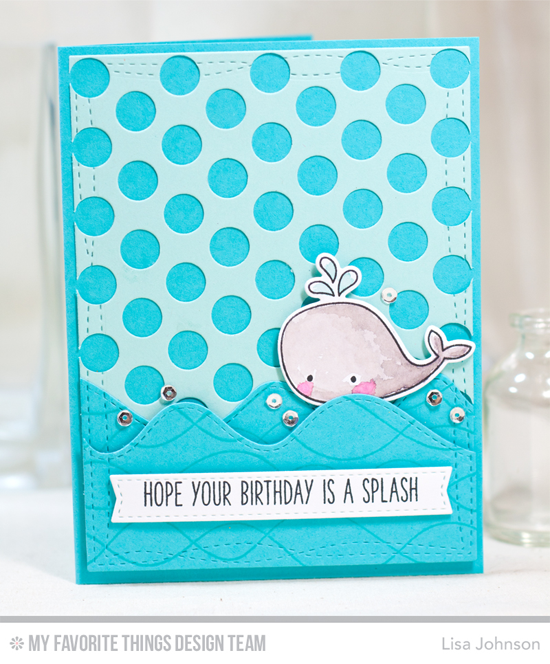 The Peek-a-Boo Polka Dots Die-namics, stitched details, and background stamping give this card all of the texture it needs to successfully pull of a cool monochromatic design. You will LOVE creating monochromatic designs with products from My Favorite Things. Be sure to tag #mftstamps when you post your projects online. We can't wait to see what you've made! I loved that video & already left a comment on UTube. Is there a new video with a new winner announced? Thanks! I love the modern flowers stamp and those pink colours!!!! This card is wonderful. Such a pretty card!! Love the floral stamps!! I like your card. You make it look so easy spacing out the flowers. I always struggle with that. Thanks for sharing. 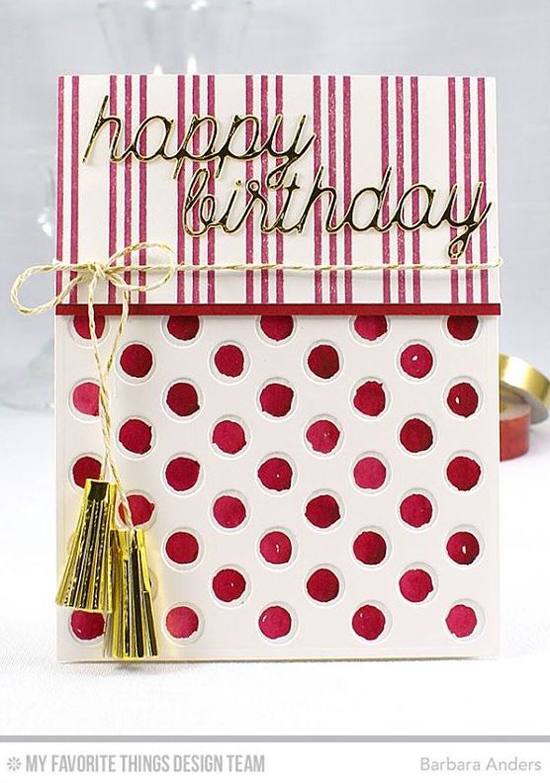 Even though it's a single layer card the white really adds a nice dimension. Thanks for the video.